Additional Info: There is a cloak room as well as the main shower room. The DVD player is a Blu-Ray DVD player There are five parking bays in front of the caravan with additional parking 100 feet away in front of the Yacht Club & Reception. 1) A 10% non-refundable deposit secures your booking. 2) The final balance is payable 4 weeks before your booking arrival date. 3) Payment is acceptable by bank transfer or Paypal. 4) A fully refundable security deposit of £100 is payable with your final payment on all bookings, which will be refunded after checks have been made to the caravan to check all is in satisfactory order. 5) This caravan is Non-Smoking due to insurance restrictions. When enquiringly about booking my caravan, please advise me how many people are in your party & whether you wish to bring a pet with you. Our spacious 3 bedroom caravan which sleeps up to 8 guests & 2 well behaved pets, is perfectly situated in a quiet, sunny position in Waterside Park, Paignton, Devon. 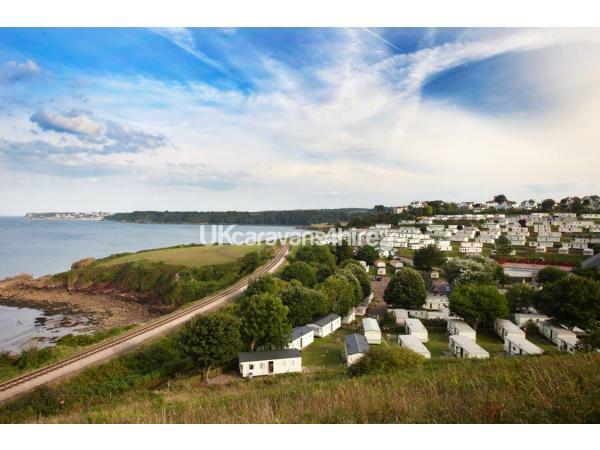 It is within 100m of the park amenities & is the ideal place to spend either a few days or a couple of weeks in a well located, very popular part of South Devon, approx 1/2 mile from Goodrington & Broadsands Beach and very close to Saltern & Oyster cove. Ideal for walkers, beach lovers, nature lovers, couples and families alike. Please contact us with any queries you have at Vikkidavey@me.com. We look forward to hearing from you. No reviews found. If you have recently stayed in this holiday home please leave a review, it only takes a few moments and will really help future guests when they are searching for holiday accommodation at Waterside Park.